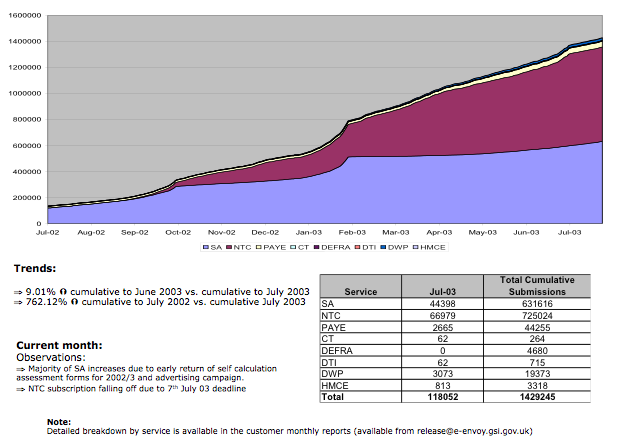 After 4 years of effort on the Identity programme (now called Verify), the figures present pretty dismal reading - low usage, low ability to authenticate first time, low number of services using it - but, you know what, the data is right there to see for everyone and it's plain that no one is going to give up on this so gradually the issues will be sorted, people will authenticate more easily and more services will be added. It's a very steep hill to climb though. We started the Gateway with just the Inland Revenue, HM Customs and MAFF (all department names that have long since fallen away)- and adding more was a long and painful process. So I feel for the Verify team - I wouldn't have approached things the way they are but it's for each iteration to pick its path. There were, though, plenty of lessons to learn that would have made things easier. There is, though, a big hill to climb for Verify. Will be interesting to watch.